Hello, readers, here we have our new episode of Tech-Talk with Octal. I am Sandeep Agarwal, Project Manager at Octal IT Solution, and I’ll be discussing Bitcoin App Development. Top cryptocurrency Apps such as Blockchain, Mycelium, and Breadwallet etc. are currently dominating the market, and your app could be next one. How? Let’s find out. Bitcoin is the virtual cryptocurrency that is created electronically. They are not printed, unlike the dollar or rupees, and are created by the people over the web. What is Bitcoin App Development? Well, to understand the above concept, let me tell you a real-life example. Let’s assume that the main branch of the Bank of America is located in Charlotte, North Carolina. It opened several sub-branches all across the country in different states. Now you can open an account in any of the branch, can send, withdraw and add money to the account. You can pay your bills or can do shopping from that account, precisely you have the right to manage it in the way, you want. Now let’s implement the same concept for Bitcoin. When you create the Bitcoin App, you create the main route; the one that connects with all the Bitcoins wallets. The Bitcoin wallets allow you to sell, receive, transfer and store the bitcoins as the user demands. One of the major concerns that need to be addressed here is that what is the strategy of adding the Bitcoin into the route app? Now taking the above example again, Bank of America can ask for some money from the Federal Research Bank and can use that for making the money circulated in the other branches. Now the same goes with the main route app. It purchases bitcoins from the other sources and can make them availed to the other Bitcoin Wallets. Well, the concept is very clear and the precise idea about the app development can be understood by the above example. How does Bitcoin Mobile App work? Since you have understood the basic concept of the Bitcoin App Development, here is the way by which it can be used. The Bitcoin App Development is based on BlockChain API and works on it. Someone who owns the Bitcoin App has the account details displayed on the app. Now when someone requests to open the Bitcoin wallets, the account is opened by the main route and the access is provided to that particular user. How to deposit the amount in the Application wallet? You can use any of the payment ways to transfer a particular amount into the wallet. The Payment is transferred to the main route, and from there the account status is displayed on your Application wallet. The Bitcoin wallet stores your bitcoin that you sell, receive or purchase. 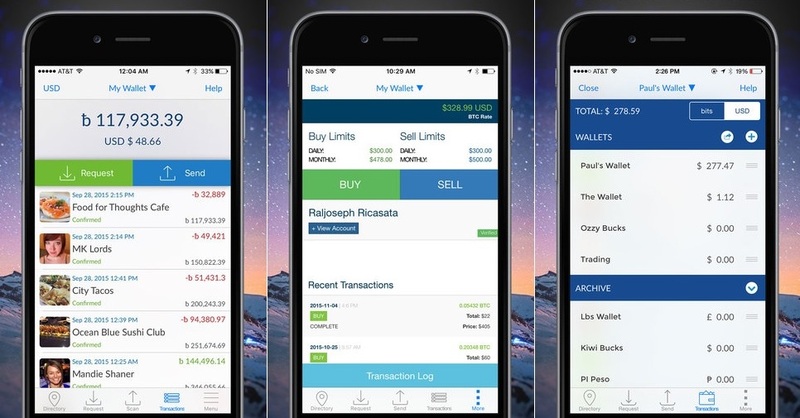 The Application wallet displays relevant information about your transaction, the address of the buyer and the amount in local currency (USD for instance). It allows converting them into the BTC to use it or manage it for the further purposes. 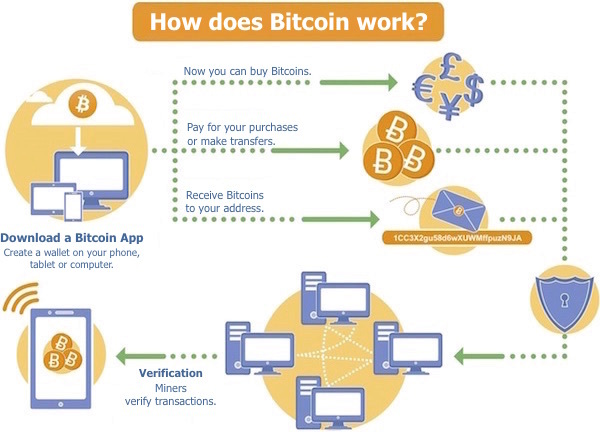 With the help of Bitcoin wallet, you can send, receive, transfer or convert your bitcoins into your native currency. Also, you can use the currency for paying your bills or for doing any other task. Precisely, you can use it for making money, for trading, etc. It is the basic fundamental that represents how a Bitcoin mobile app works and the way in which it can be used. What is the process of bitcoin app development? Bitcoin App Development is not a tedious task, but you should always hit upon the right mobile app development company. At Octal IT Solution, we have developed quite a number of Bitcoin Mobile Apps such as CryptoCurrency, CoinROX etc. that are excelled on the grounds of technology, operability, and quality – allowing you to manage, create, receive and sell the Bitcoins. There are several other interesting features that we have added into the app, but right now let’s discuss what we need to develop a Bitcoin App for iPhone and a Bitcoin App for Android. 1. Create the Mobile Apps for both iOS and Android as per the below technologies stack. 2. Now create the Bitcoin Wallet using the BlockChain API to transfer the bitcoins. 3. Create the Back-end with Laravel and MongoDB to manage the data. These were the very basic steps for creating a Bitcoin Mobile App. You can add more features into it by using certain libraries for making your Bitcoin App more attractive. What are the technical parameters of a Bitcoin Mobile App? toshi.io: It is an open-source Ruby application offered by Coinbase. The bitcoin node uses a Web socket API (for making the server communication easier). Bitcoin core RPC: used for constructing distributed, client-server based applications, the core bitcoin app runs as a daemon and expose an RPC interface that is used for constructing distributed, client-server based applications. Bitcoin: The Java library that allows you to deeply integrate Bitcoin into your application. What are the features of a Bitcoin Mobile app? Our team at Octal IT Solution is developing Bitcoin mobile apps that are best in industry. We have developed the apps for many clients. So instead of telling the basic features of the app, I will outline some of the innovative and interesting features that we have embedded into the apps. Why is Bitcoin app development so popularized? What are its key benefits? Bitcoin is undeniably the safest network for transferring funds across the globe. Here, find out some of the major benefits of Bitcoins. Payment transaction made through Bitcoin is completely anonymous and private. That means the transactions processed cannot be identified and tracked, unlike the banking system that has access to the receiver identity. Here, the transaction can be identified with the help of the address on which the payment is sent, but the identity of the person cannot be determined, means to whom the payment is delivered is kept very confidential. What if you are having the huge amount of currency and the government declares it as a total waste. Well, it may happen as the government can change the regulation on the currencies it creates and governs. In the case of Bitcoins, in case they are banned by your government, you can use them in the regions they are legal and can get them converted to cash, as and when required. Irrespective of the holidays, boundaries and the payment limits, you can transfer funds when required. It involves no third parties, thus you can transfer the amount with the utmost freedom. Paying through Bitcoins has very low transaction fees. In case a person wants to make the transaction faster, the fees incurred is quite low when compared with any other financial intermediary or digital wallet. Since the Bitcoin transactions are secured and irreversible, there is no probability of getting into the fraud cases. There is no customer information shared and is kept confidential. What are the opportunities for Bitcoin App Developers? Well, the opportunities are seamless. Starting with speed, security, and resiliency, there is a list of market sectors that come to the mind. Data security is a major concern in the health industry. Simply combine that with the speed and the scenario where you are serving the parties with the large volumes of data. Well, you can write the prescription on the main route app, and the same will shared across the multiple users. There are eight start-ups that are on the verge of bringing Blockchain solutions to healthcare facilities, disease management. You could probably the next one as the field is still wide out there. Might be you are thinking how would the gaming industry be effected with the Blockchain. Well yes; the former technology can immensely impact your games app. We have certain games that are already being developed on the Blockchain, as it allows the developers to add even more lucrative features such as powerful asset sharing and purchasing feature. This is one of the major industries that can reap the maximum benefits out of the Blockchain technology. It may not only prevent the insurance policies from frauds but also protects the rights and money of customers. Considering the fact that in some countries it is banned by the Blockchain can help a lot in verifying the fund exchange across the countries. There are multiple top-level security agencies working for monitoring plenty of transfers. It can be easily handled with the Bitcoin apps, in a simpler and a clearer manner. Blockchain technology is powerful and it can be used for developing groundbreaking mobile apps that will surely benefit your business with impressive revenues. Cryptocurrency App Development had already gained a fierce acceleration in the money making business, but soon it will be seen extending its peripherals across different industrial segments. Octal IT Solution is the renowned name in delivering the polished and replenished cryptocurrency development services. Our pool of developers owns extensive knowledge in the realm, and knows all the ifs and buts’ about the technology and delivers the solutions for Cryptocurrency trading, exchange platforms and trading solutions as per the exact requirements of users and merchants. If you have any questions/thoughts, feel free to share in the comment box below. If you want to know how much does it cost to build a Cryptocurrency like Bitcoin, Get a Free Quote.